Summer is just around the corner and my hubby and I have slowly been getting our back patio and yard all ready. Though we have a veeeeeeery small backyard, we love to entertain friends and eat dinner outside almost every night in the summer. When we moved into our house about 5 years ago, our backyard was literally a big concrete slab for our “patio,” and a whole lot of dirt and weeds. I wish I had a picture to share, but it was bad. A couple of years ago (before Jade, mind you!) we decided to DIY landscape. It was a huge job and took us all summer, but we got so much more use out of it. David didn’t want to put any grass in the back since it literally would have been like a 8′ x 8′ square of lawn. So, we opted for more of a natural landscape. 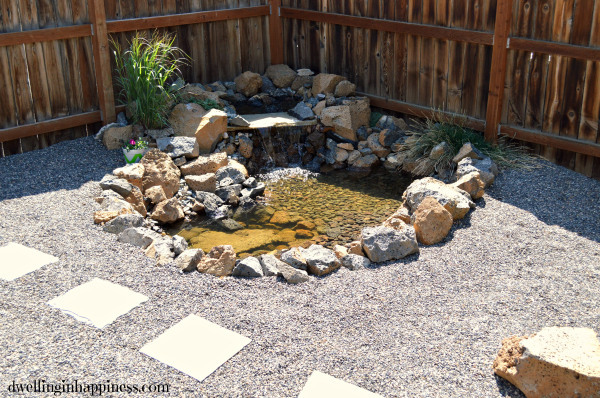 We put in a beautiful pond in one corner, which is the perfect sound while we relax outside on those hot summer nights. We also added a raised garden bed, a fire pit, and lots of pea gravel. Since our backyard gets a lot of sun and stays really warm, we opted to put a gazebo up on the concrete patio to bring us some shade. First of all, what were we thinking? Seriously, who puts in a huge rock pond and gravels their entire backyard when they want to have children? We do, apparently! Totally not kid friendly whatsoever. Second, outdoor maintenance is hard work. And expensive! Our patio table and chairs are terribly dirty and falling apart, our gazebo cover is ripped and totally faded, and our fire pit is rusted over. The huge rocks we left around the fire pit for seating are so unsafe for Jade. We have ugly plastic chairs hanging out against the fence for extra seating around the fire pit, too. Right now, our backyard is just kind of sad (except for my raised garden which is finally sprouting! Yay!). 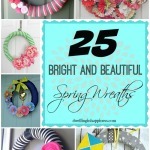 SO, instead of having a pity party at how pathetic our yard’s current state is, let’s do a little “window shopping” and “ooh” and “ahh” over a bunch of pretty patio products from Wayfair.com instead! Here’s to “patio dreams” and putting together what I’d love my patio to actually look like! 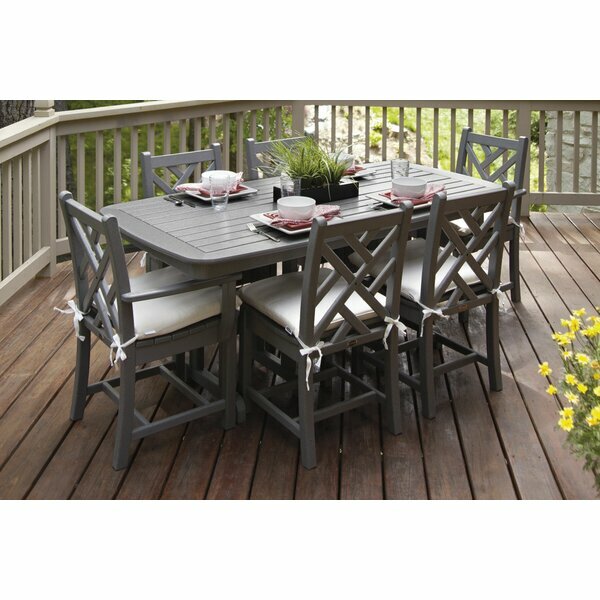 First off, since we are always eating and relaxing outside, we need a really nice dining set and chairs. We have an ugly glass table right now and chairs that are so wide they don’t even fit in under the table. 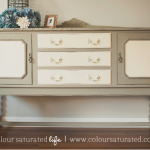 So, how about gorgeous 7 piece dining set instead? Isn’t she pretty?! This would look amazing on our patio. And, it looks so comfy! I love the chair design, too. Next we’ll need something to hide our terrible red concrete patio that grows weeds out of the center cracks. 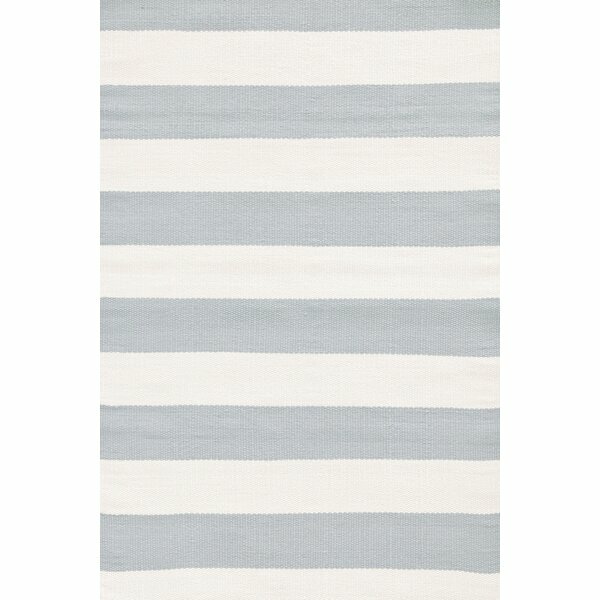 How about a simple striped outdoor area rug? I love the subdued colors and the chunky stripes of this pretty rug, and it’d match the above dining set perfectly! And since we sometimes have extra people over that won’t fit around the table, it’s nice to have some more seating. I’ve always loved garden stools, but never actually bought any. 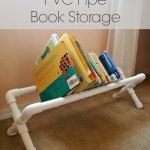 They are so functional and can also double as a little side table/drink holder if necessary, too! They’re also small and don’t take up much space, which is the perfect solution to our small patio and yard. 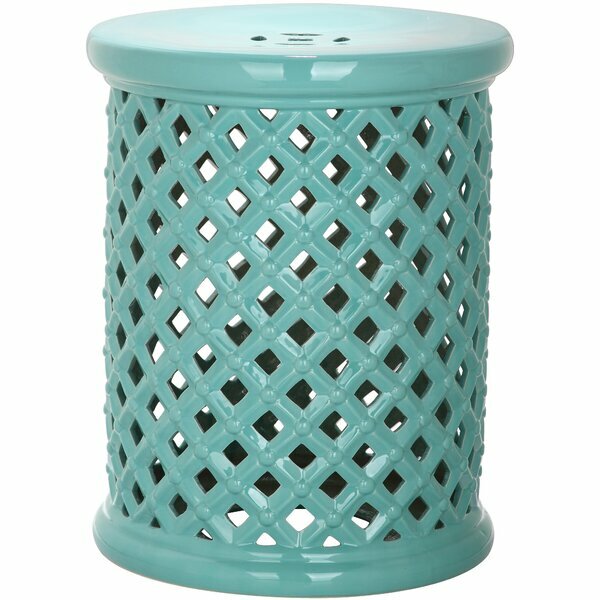 I’m loving this gorgeous turquoise color and pretty design. A couple of these sitting around next to the house would be perfect! Patio seating is taken care of, but what are we going to eat? We barbecue a lot in the summer, and our current barbecue is old and small. 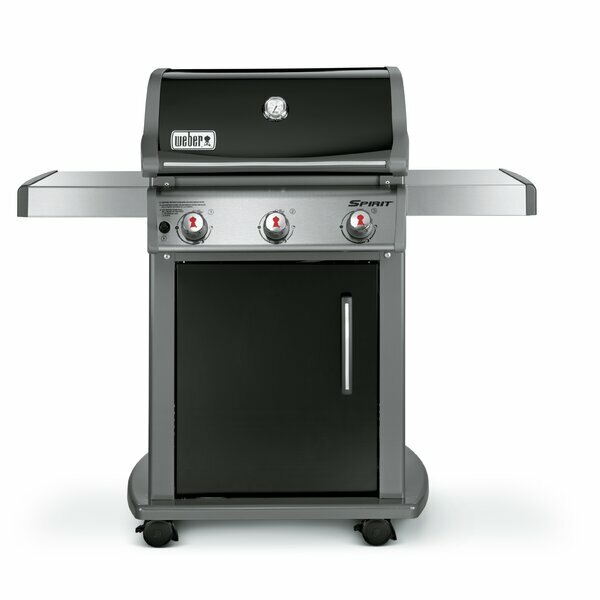 I’m totally loving this Weber Spirit gas grill! Since our backyard gets virtually no shade, we’ve had a gazebo the past few years. But like I mentioned, it’s faded and ripped and just isn’t pretty anymore. I SO wish we had a gorgeous pergola instead! 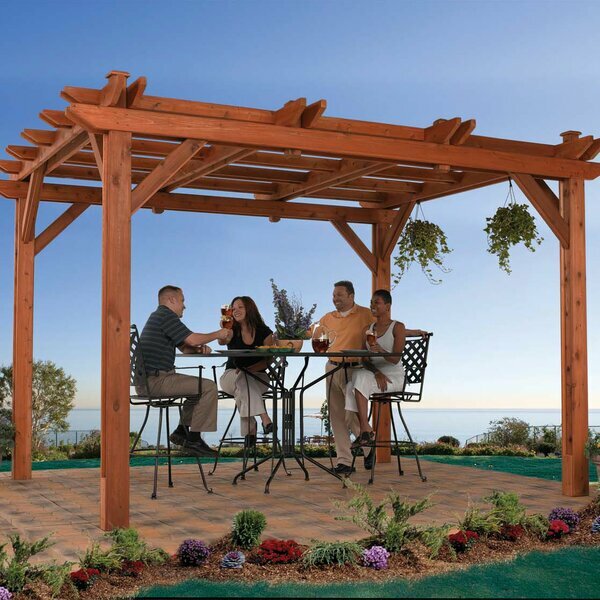 I love the look of this Montego Bay Pergola, it would fit just perfectly on our patio! I like that it provides ample shade, yet still lets a little light through. One thing we lack in our backyard is lighting. While we have our fire pit, it only really lights up that little area. Our one outdoor light is too harsh and not very “mood” setting for when we entertain. So, my “dream” is to have cute little string lights all strung throughout our pergola so we could easily entertain into the evening! 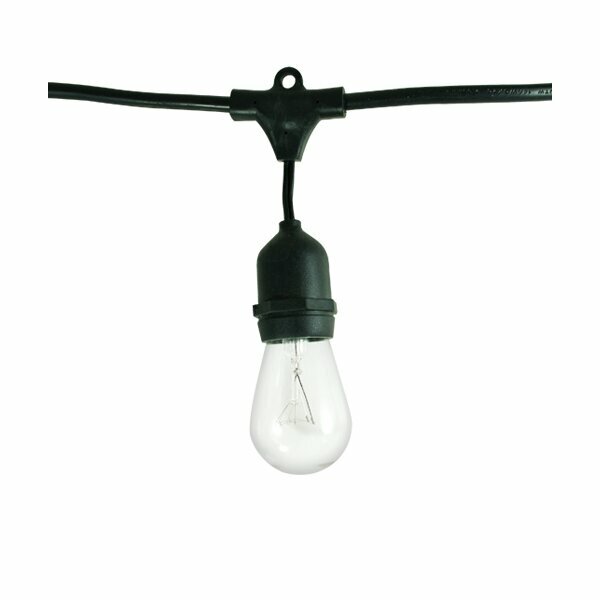 These Bulbrite Industries outdoor string light set would be totally perfect, and set the best mood lighting! While our summer days are hot, our evenings can get a little cool. To help, a nice new fire pit will have us entertaining into the late night, while we roast marshmallows and make s’mores! 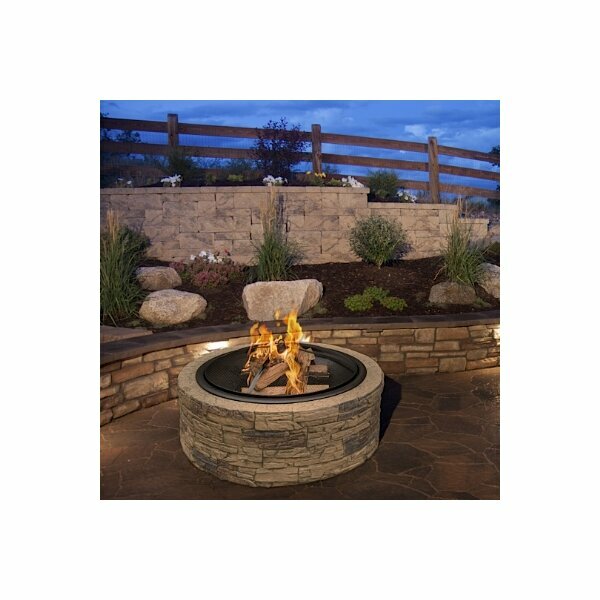 I love the cast stone of this fire pit, and it’d look perfect in our natural outdoor landscape! Ok, now I really want a s’more. What’s on your “dream patio” list? A new dining set? New planters? Or a hot tub? I’d love to hear! 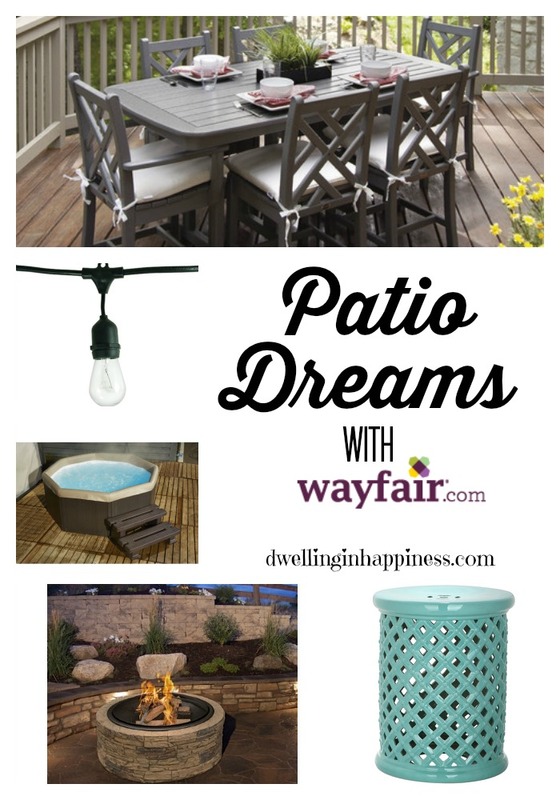 To see more of my fun patio choices, head on over to Wayfair to see my Patio Dream Idea Board! That plug and play spa looks amazing! We would def. get a lot of use out of it! I have been seeing those garden stools in bright colors everywhere lately and I really love them… I need to get a couple of them! Doesn’t it?! I SO wish we had room for one!! We’d totally use ours all the time, too. I think I might get some of those stools too, they are so pretty and totally versatile! And I love the colors. 🙂 Hope you and your family have a fun weekend! Great patio picks! I’d love to have a pergola in my yard! Thanks Roxanne! Ahh me too! My neighbors have them and I’m totally jealous. 🙂 They’re so pretty! Hope you have a fantastic weekend! 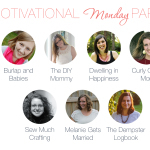 Gorgeous inspiration, Amanda! 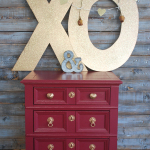 Love Wayfair! Our backyard was in terribly sad shape when we moved into our home! We have poured sooo much sweat into it and finally ready to enjoy it this summer! We’ve cut down trees, removed a million stepping stones (seriously), redid our deck, etc! I hope your “dreams” for your backyard come true, friend! It has fabulous potential! Thank you, Kendra! 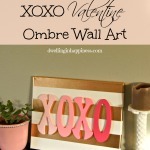 I love Wayfair too, they have the best and cutest stuff! Oh man, sounds like your backyard was sure a lot of work!! I bet it looks lovely now. 🙂 Hope you have a great weekend! 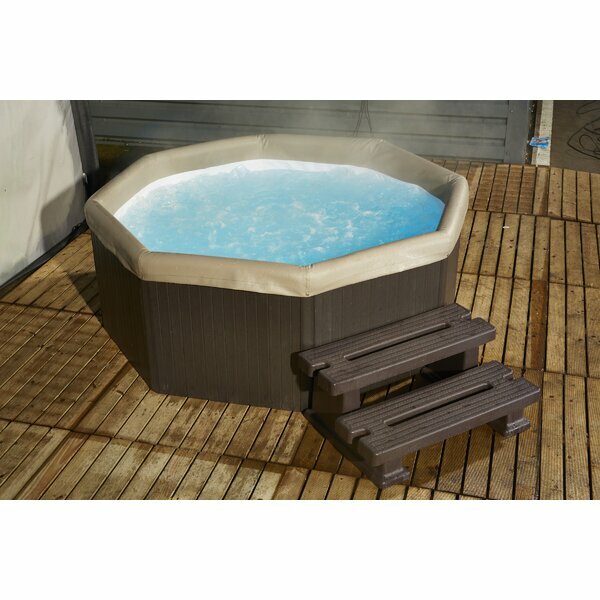 A portable hot tub that’s plug and play is definitely the way to go. They are more durable than an inflatable hot tub and much better insulated so the water stays warmer. Even though they are more expensive, you will save money by using less power. That table is gorg!!! We so need a dining area on our patio, along with a fire pit. It’s hard though because absolutely everything rusts, fades, or weathers in like two seconds here :/ I’m always browsing for weather-proof, but still pretty, options. 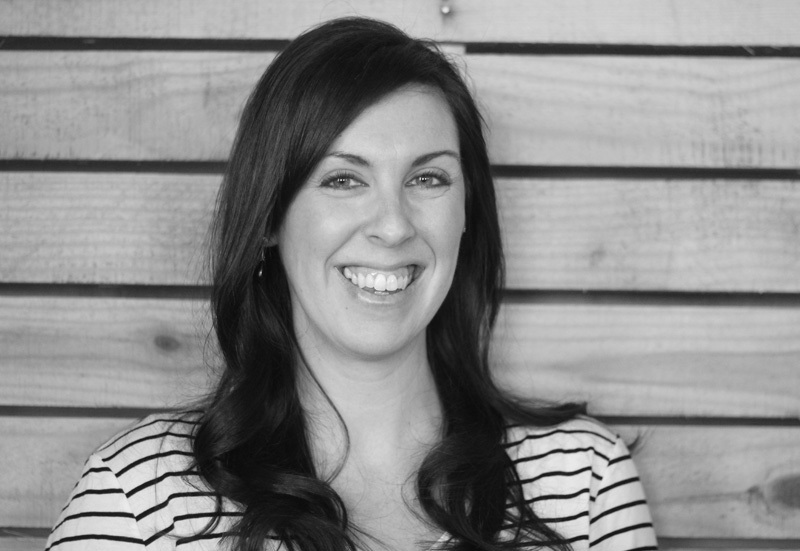 Emily @ Table & Hearth recently posted…Guess Who’s Hosting Think and Make Thursday! I really wish we had some kind of pergola or canopy in our back yard. The only spot with shade on our patio is the covered swing. We need something big enough to also cover the kiddie pool and concrete so my kids can play without burning their little hands and feet. Hi Jenn! We have a little gazebo in our backyard right now which definitely helps keep it cool in the summer, but if we didn’t, it’d be unbearable! I totally hear where you’re coming from! Hope you find some relief in your backyard! I love your background stone fireplace ideas, Amanda. I want to have something like that when I buy my first home. I love having natural stone features in landscapes. Stone is beautiful, lasts a long time, and often requires little maintenance. I’ll keep your ideas in mind when I go home shopping. Thanks, Adam! I love the stone fireplaces, too. I’d love to have one outdoor like that someday! I have many patio dreams, one of which is having a little pond in our yard. I really liked the one that you have in your yard, it seems like the perfect size. I share your dream for having a fire pit as well, hopefully I’ll get one someday! 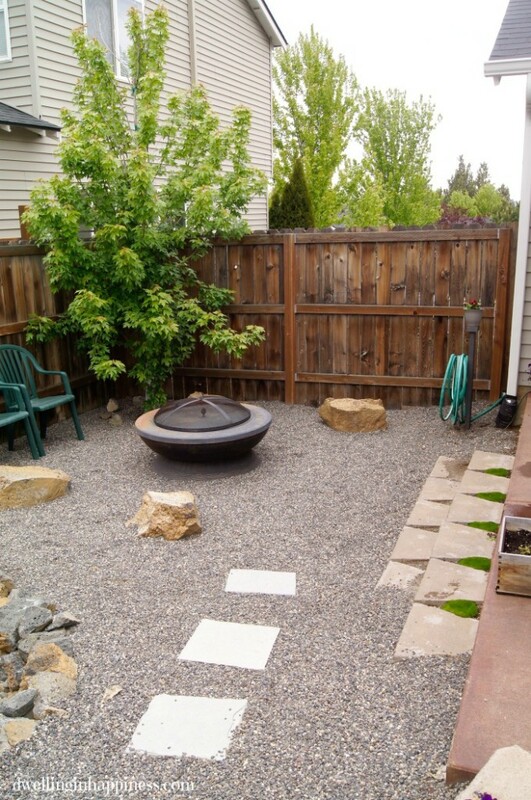 I like the simplicity of these ideas..
For me the fire pit is exactly what I would like to build in my backyard. I already have an inflatable hot tub which works well for me.. I agree, Lance! I’d love a hot tub, too! 🙂 Thank for stopping by! Looks like you’ve got a nice little maple tree growing in one corner. I image that in a few years that should contribute some shade to the yard. Can’t say I’m a huge fan of the gravel, but I see why you wouldn’t want to plant grass. Do you think a moss garden would work in your climate? That would be kind neat. Yes, we planted that maple tree after we moved in. It’s getting bigger every year! I agree, a moss garden would look great! Unfortunately in our area we are extremely dry which wouldn’t be conducive to a moss garden, which is a bummer! These are some really nice patios you have put on here. Nice Work. My favorite was the one with the fire pit and the retaining wall background. Thank for Sharing! Sodding Barrie recently posted…Smart Irrigation Saves Money! Nice to see your garden and patio evolving. It is truly an organic process to get it to where you want it. Money is important but good taste and love are more. These are gorgeous Amanda. I especially like that pond. Listening to it while soaking in a hot tub (with the jets turned off) is such a relaxing experience. My hubby’s planning to have that setup in our backyard, though I personally don’t know when I’ll really see that..lol. For now, I have no choice but to play a synthetic sound from my phone. Thank you, Jessica! Ha, I agree, while all of it looks lovely, a synthetic sound from a phone is all we can afford! 😉 Thanks for stopping by! 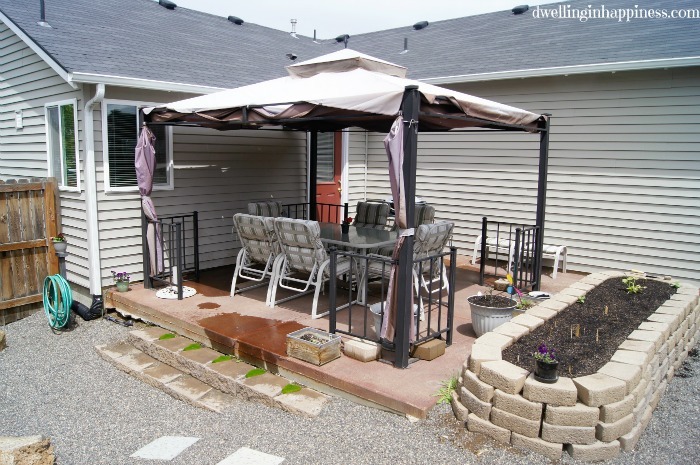 I love the gazebo that you guys have over your patio. Do you leave it up all year or is this something that you only keep up in the spring and summer? In any case, I love the blog and thanks for writing up this post. Hi Jennie! Thank you! This gazebo we had in our old home and we left it up year-round, we just took down the cover part for the winter. 🙂 Thanks for stopping by!